Aged Lankaaster created by Margaret Peters-Morris of Glengarry Fine Cheese is the 2011 Grand Champion in its class at the Royal Winter Fair. 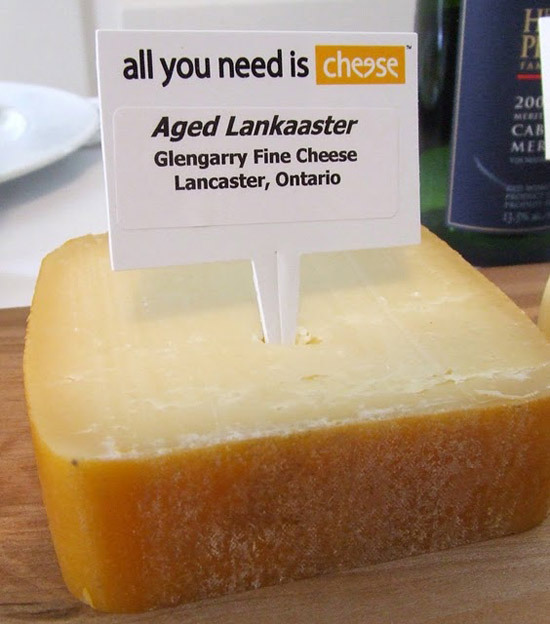 Aged Lankaaster was named Grand Champion in the variety cheese competition at the Royal Agricultural Winter Fair this week, continuing a streak of awards won by Eastern Ontario’s Glengarry Fine Cheese. 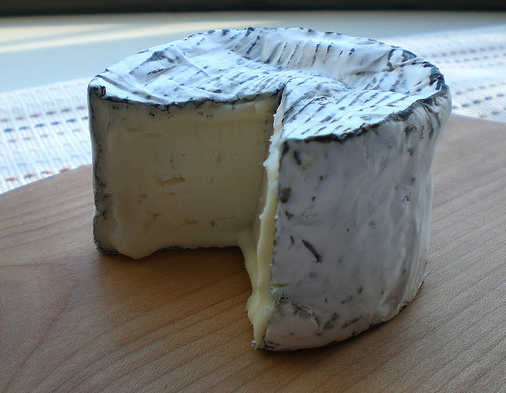 Cendre de Lune made by Quebec cheesemaker La Fromagerie du Village 1860 was named Reserve Champion. Despite multiple entries from large cheese producers such as Saputo and Agropur, Quality Cheese of Vaughan, Ontario, collected the most first-place ribbons—four in all—with Zerto Fresh Mozzarella, Ricotta, Borgonzola and Burrata. Perhaps as an indication of things to come, a new artisan cheesemaker, Primeridge Pure of Markdale, Ontario, won a second and a third with Grey Rush, a creamy dessert cheese. The Grand Champion, Aged Lankaaster, is matured to a minimum of 10 months. Margaret Peters-Morris tells CheeseLover.ca. The cheese entered in the competition was made in June, 2010, therefore, it was 16 months mature. Aged Lankaaster is a firm cheese, traditional rind, characteristic gouda “eyes” present, paste is dark, laden with crystals, with lovely butterscotch, pineapple and lactic notes, the veteran cheesemakers says. This cheese lingers in one’s mouth and is very suitable to use as cheese to make any “gratin” in culinary preparations. Cendre de Lune by La Fromagerie du Village 1860 was named Reserve Champion in the variety cheese class. Sponsors: Gay Lea Foods Co-operative, Dairy Farmers of Ontario, Canadian Cheese Society, Cargill, Central Ontario Cheese Makers, Parmalat, Jersey Canada, Continental Ingredients Canada, Ecolab, Empire Cheese.